COLLEGE PARK (WUSA9) — Terps against hunger are packing 100,000 meals and will be distributing them to local food shelves to help fight hunger in the metro area. Over 30,000 meals were packed as of 6 p.m. Monday. 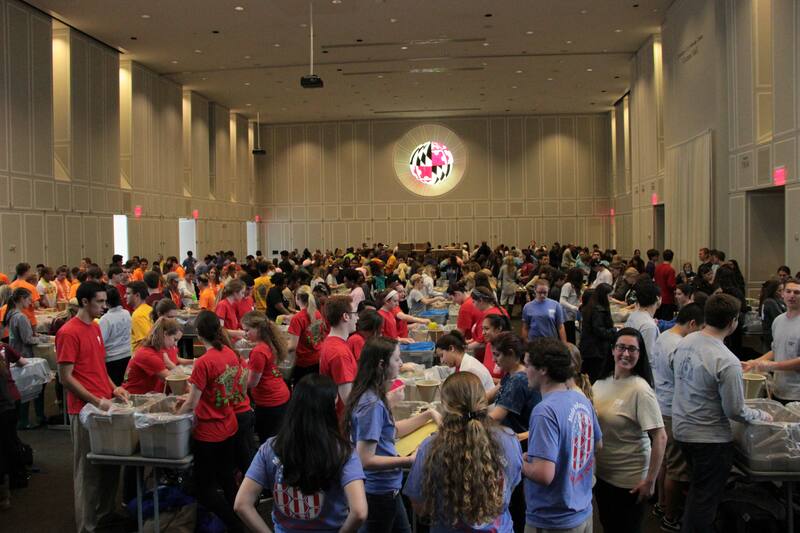 Terps against Hunger (TAH) is a University of Maryland student-led initiative of Kids Against Hunger DC Metro which focuses on packaging easy to prepare meals of rice, soy, dried vegetables, and vitamin powder to help feed those in need in the metro area and around the world. All of the meals will be packaged by Monday night. A total of 4,000 students from sororities and fraternities at the University of Maryland took part in the event. They hope to host a larger event next semester and package 250,000 meals. NewDay USA was the primary sponsor for the event.